The stainless steel straws are reusable and environmentally friendly for daily use. 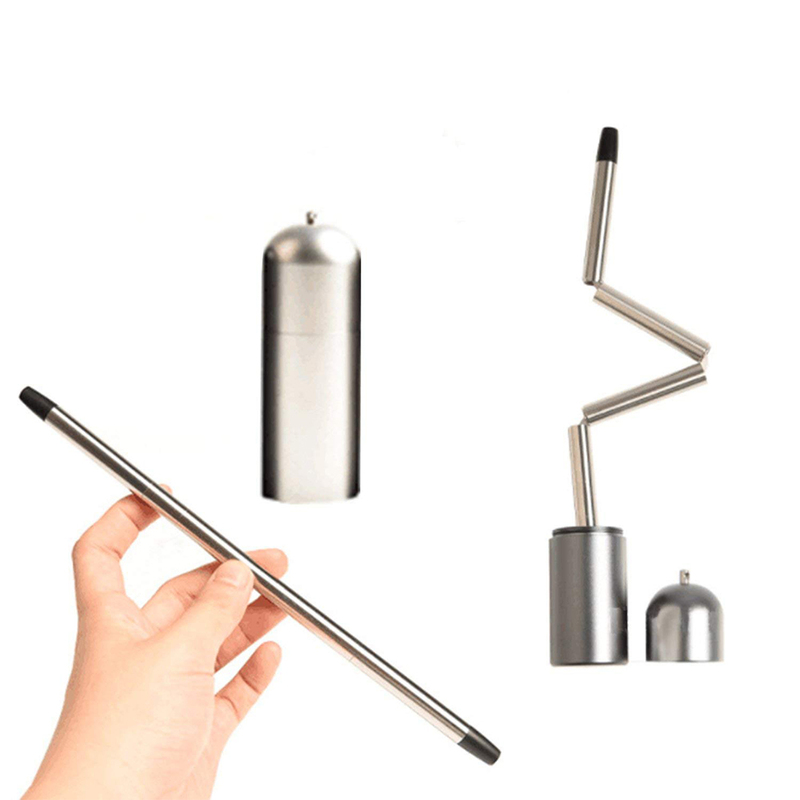 The outer body is made of food-grade 304 stainless steel and the inner tube is made of medical grade silicone.This straw is collapsible.It consists of four detachable parts and can be twist into different direction. It is lightweight and portable. You can tie the case onto your bag or belt because it also has a hook can be combined with your key chain. It's also easy to be cleaned because inside of the box, there is also a flexible wire brush for cleaning. It's suitable for Daily use, Home, Family party, Outdoor picnics, Shopping, Hiking, Trips and Office use etc.